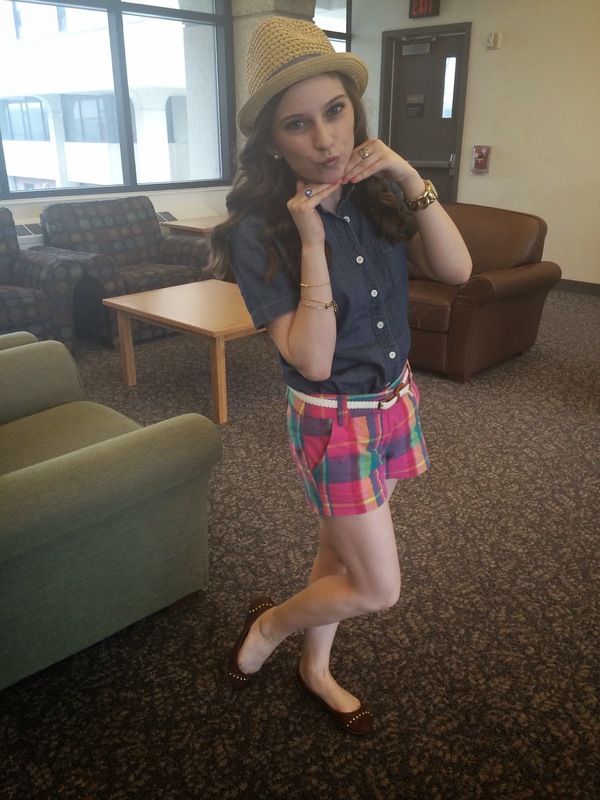 This outfit is a little hipster but also a little preppy. I combined a fun pair of multi colored plaid shorts with a short sleeve denim button down shirt. 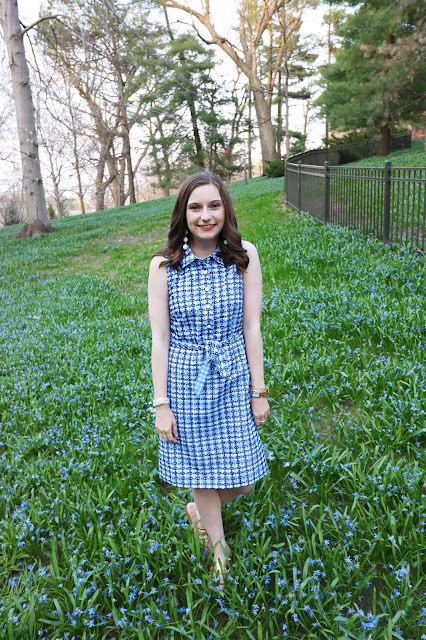 The shirt also features a peter pan collar detail. For accessories i wore a rope style white belt along with a fun fedora style hat. 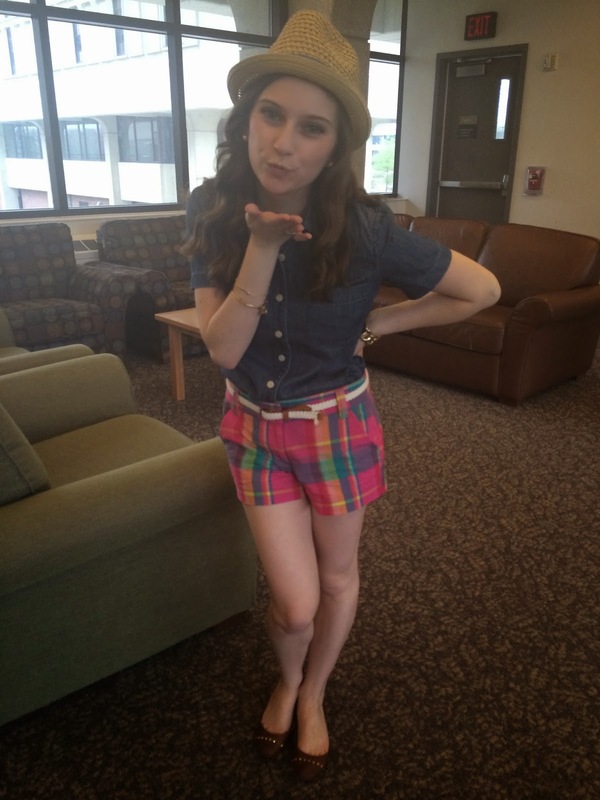 Basically when I wore this outfit I felt like I could be on a beach. But sadly I am still in crummy Iowa. 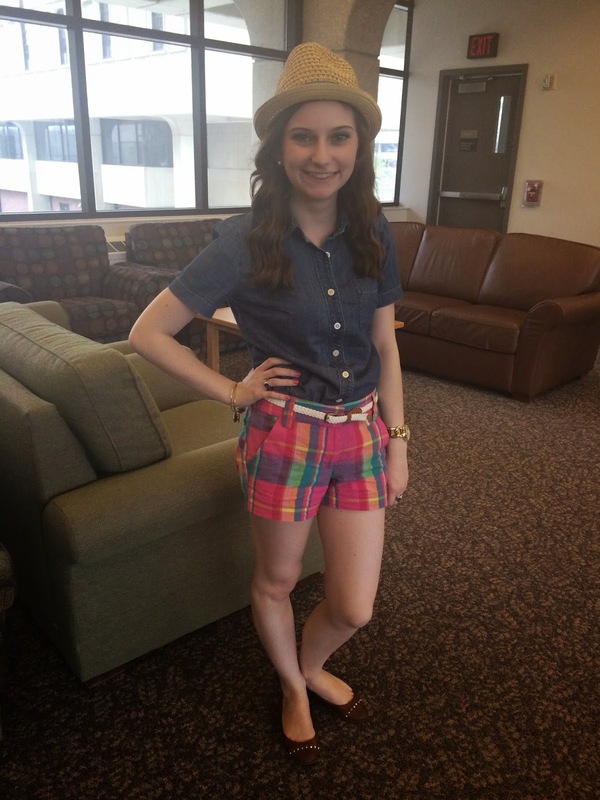 However I am loving this somewhat preppy hipster ensemble!